Kim Spuhler shares her experiences in the fire service, and what she does now as a Community Risk Reduction Specialist. Educating the community on fire safety and risk reduction practices, Kim empowers members of the community from elementary-aged children to elderly people. The California wildfires are also discussed, and Kim shares how her team is responding to public concern. Kim has a bachelor’s degree in communications, which she says made her stronger in her position, although it isn’t a “common” education background in her field. She explains why unique backgrounds such as her own are important in the fire service. She explains what the fire service means to her, as well as the variances in job opportunities within the service. Subscribe to You Have a Cool Job on Apple Podcasts here or on Soundcloud here. Learn more about Kim’s work here. Looking to get into the fire service yourself? Check out Peterson’s test prep resources for the Firefighter Exam here. 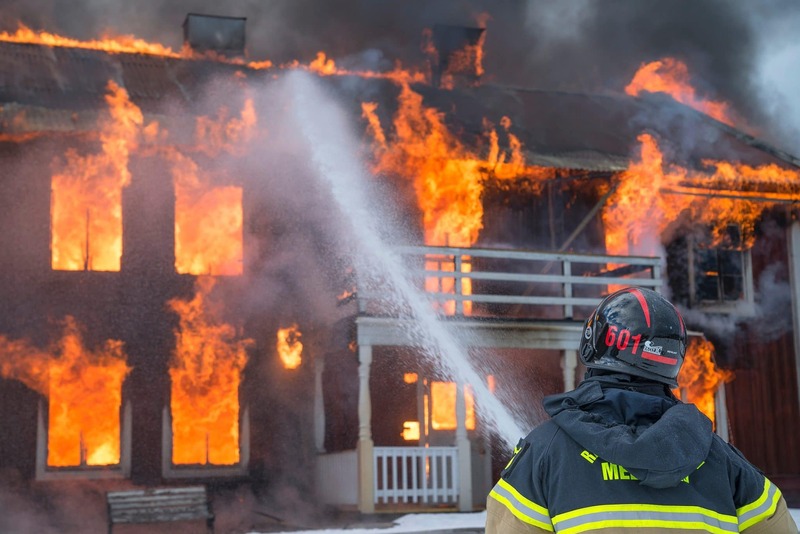 HOST INTRO: On today’s episode of “You Have a Cool Job”, we talk with Kim Spuhler, Community Risk Reduction Specialist at South Metro Fire Rescue in Centennial, Colorado. Kim explained how she got to this point in her fire safety career. KIM SPUHLER: I was in operations for eight years, and loved it loved it, I love the fire service. But, one of the things that gets a little disheartening is when you see something that you could’ve prevented like for example a kid not wearing their seatbelt, or a smoke alarm that didn’t activate and you see tragedy and you wish you could’ve gone back and helped before and stopped that 9-1-1 call. And so, I moved into a division that’s community risk reduction and I’m a specialist with my fire department and our whole mission is not only to keep our community safe where they don’t have to call 9-1-1, but also to keep our firefighters safe when on scene as well. HOST: Kim then shared what exactly she does, and how her job is different as a risk reduction specialist from other fire safety positions. KIM SPUHLER: A community risk reduction specialist is a little bit different than a public educator, it’s still under that main umbrella but one of the things is we have to go through the data, so we have to look for what’s trending in certain areas, what types of calls, and then we have to decide what kind of message and how do we want to deliver this message in order for us to get the most change in attitude or actually to get the message across to that audience. HOST: What does this look like from an everyday standpoint? Kim told us what a typical day looks like for her. KIM SPUHLER: So my typical day starts out, I can usually, we get feedback from the community, they’ll ask us to come out, you know wildfires in California, a big fear is is this going to happen to our homes, so we’ll respond to those questions and go out, maybe meet with HOA’s and talk about mitigation, what you can do and we have our bread and butter program that you all probably grew up with where the firefighter comes to the school so we’ll go and see everything from our department is third grade, fourth grade, fifth grade, seventh and eighth grade are kind of our bread and butter programs that we go and talk to the kids with. HOST: You may remember fire safety specialists coming to your elementary schools to talk about fire drills, stop drop and roll, etc., but Kim also address concerns in assisted living communities. KIM SPUHLER: Then I might end my day going to an assisted living and empowering our older generation through education on how to do fire drills at their age, cooking safety, that kind of thing. So my day really changes, which is the fun part, but we do have some bread and butter programs. HOST: Right, and it sounds like you’re working with people from all ends of the age spectrum so that’s different than most jobs would be too. KIM SPUHLER: Absolutely so that’s the fun part. I think in this job, you have to love people and be really good about connecting really quick with your audience and finding out how are we the same versus how are we different and I think that’s a fun part because one of my missions currently is going to our immigrant populations and figuring out how do I deliver these programs to 101 different dialects in a certain part of my community where English is not their first language. They’re learning English but we want to keep them safe and so it’s an awesome challenge, but you really have to figure out how do we deliver these messages and that’s a fun obstacle that it keeps me on my toes. HOST: Definitely, and also, what I first thought of when I was going to talk to you was that firefighters have such a heroic connotation, what do you feel is the most important part of your job? KIM SPUHLER: Our firefighters are amazing. They basically, they go to any call. Anything that makes somebody feel overwhelmed. So you have the typical, let’s say medical calls, which actually is 90 percent of our calls are medical based which I think surprises some people who get into the fire service that the majority of calls are medical, but they could be going to a medical call followed by a structure fire, followed by a car accident, to an animal rescue, to like a technical rescue where they have to use ropes and collapse buildings and things like that, and so I think it’s important to know that these men and women train for so many different scenarios but what they need from the community is for the community to help them out by doing whatever they can, for example smoke alarms, practicing home fire drills, those kinds of things in order to help our firefighters. Because, it is a community effort to keep our whole area safe. HOST: Since Kim works in Colorado, a very dry state, I wanted to ask her about wildfire issues she encounters. KIM SPUHLER: So we used to say there was a fire season. There’s no longer a fire season. Fires, especially wildfires can happen anytime of the year and so our firefighters can do so much but it really depends on the homeowner to say, ok let me go and trim these trees away from my roof, let me see if I can put in some xeriscaping to create a fire break around my home. Maybe, you know, this dead tree that’s been up here for a couple years, maybe it’s time to cut it, maybe it’s time to get my combustibles away from my home. Because, I know when I was doing wildland firefighting, I was one of the first responders to something called the Black Forest Fire in Colorado Springs, and that took, sadly destroyed nearly 500 homes, nowhere near the capacity of what California’s feeling right now, but when you went around and you were this firefighter and you knew you only had so much water on you you really had to triage the homes and look at them and go OK, they’ve done their homework and I think I can help them and I think I can save this home, but then you look next door and see this home covered in trees and needles and everything and you just didn’t have the time for that home. So we really need homeowners and the community to do everything they can so our firefighters have every chance of doing what they can. HOST: Kim mentioned the wildfires in California, which has brought fires and fire safety front and center to the national conversation. I asked Kim how her team is responding, as well as how she has seen the public respond. HOST (LIVE): Is there anything different that you’re doing or even just seeing when you talk to these civilians? KIM SPUHLER: So, something like California is a megafire, which means once it’s to that size, it’s already kind of too late. Meaning, the firefighters are just trying to keep ahead of it, but there’s nothing you can do at that point to mitigate properly once it’s that huge. But, typical wildfires are much smaller. And so, when talking to the community we tell them what they can do. Meaning, cutting back trees, keeping combustibles away, really being very vigilant during those hot and dry days not to do things like cut your lawn in the hot part of the day because even one spark can cause a grass fire. Being very smart about that kind of thing. HOST: Because the scope of the California fires are much larger than the average wildfire, Kim says she doesn’t want civilians to be discouraged when it comes to attempting to protect their homes from wildfires. KIM SPUHLER: The California fire is huge and heartbreaking. Typical wildfires aren’t that big and so I don’t want someone to look at that fire and go, well there’s nothing we can do. It’s going to be that big all the time. Most of the fires are smaller, most of them you can mitigate and protect your home and do what you can for that fire. California breaks my heart, that is a very wind-driven fire, meaning, it’s like a dragon, that when you’re feeding this dragon, that oxygen, that wind, it’s making that dragon stronger and going to blow out more fire. So that’s a very sad situation out there but most fires aren’t that large and the community can do something to help the firefighters. HOST: Right, do you notice then that people are more concerned when you talk to them? KIM SPUHLER: They are. Typically, people aren’t motivated to change different behaviors, sometimes you have to have this major event to start that catalyst for change. Usually, everybody, we all believe it’s never going to happen to me. We live in this safety bubble. And so, until we see how it could affect me very easily, people aren’t typically wanting to change because it’s never happened to them, we’ve never had this fire, we’ve lived here for so many years, it’s not going to happen. But you look at our populations growing, we’re getting our homes more into the wild, into the forested areas. You get houses built right next to each other where you don’t have that fire break. We love our big trees, we don’t want to cut any of them down, so we’re putting ourselves in this environment, but we’re not wanting to change anything unless something scares us, for example the California fires, people typically aren’t proactive, they’re reactive. HOST: And this prevention is where Kim’s role comes in. I wanted to know more about how her job is a unique place to be in in the fire safety world. HOST (LIVE): What would be then since you’re working in fire but you’re not necessarily doing the firefighting as much anymore, what would you say would be things that are, that people are surprised about your job that are just not what they would expect? KIM SPUHLER: Absolutely, so one thing, I think people think of the fire service and they think, there’s only firefighting. Meaning, you work for the department, you’re automatically a firefighter. There’s so many other jobs in the fire service that people don’t realize that they can do and still work for the fire department. We have athletic trainers, we have community risk reduction specialists, we have inspectors, human relations, you have administration, you have finance, so I don’t want people to go, “well, I don’t want to work in a burning building, I can’t do that,” but the fire service for me is such a rewarding career because you can see how you’re helping your community. HOST: Kim shared why the fire service is so important and rewarding to her. KIM SPUHLER: To me, fire service is that old time feeling where you’re connecting with your community, you’re a part of it, and you’re intertwined. Sometimes you feel so separated from the community, working in the fire service, I guess it gives me that old time, hometown feeling, if that makes sense. So I think that’s one of the surprising things is you don’t have to be a firefighter to work for the fire service. You can still help your community. HOST: Firefighters typically have very demanding schedules, and Kim explained why her schedule as a fire safety specialist is more suited to her lifestyle. KIM SPUHLER: The nice thing is I do work with operations very closely, so you are still intertwined with the firefighters on a daily basis. I’m seeing what their concerns are for the community. The nice thing about me is I get to sleep in my own bed every night. I have two boys that are amazing that I still, you know, I want to be with them and I want to go their school plays and whatnot, so I’m there for them with that and that’s the nice thing about my position is I have that flexibility so still be a mom and work in the fire service, and all that and granted, firefighters and still moms and dads, but you’re away from the home for two days and then you come back for four. So it’s just kind of a different set up. HOST: Kim explained how her role allows her to get close to the community to truly respond to people’s questions and concerns. KIM SPUHLER: For me just on the day-to-day basis, it’s just that interaction with the community where they can ask the questions of, “hey I always wondered, what does that chirping mean on my smoke alarm?” Or, “why does it always go off at 2 a.m.?” And they just ask you the questions that they haven’t really gotten to talk to the firefighters with because they’re very busy but they can ask me all those random questions about the fire service or community risk reduction or anything like that and it’s great because I feel like I’m the leaision to them and I’m like the connecting point. HOST: And Kim, what type of education did you have to go through, education and experience to get to your position? KIM SPUHLER: So, I kind of took a very strange path into my career but I got my Bachelor of Arts in Communications and I wanted to get into graphic design and web design and all that. And it’s actually come in very handy in my life now, which we’ll get into in a second but I have gone through a fire academy, I have gone through inspection classes, so I understand fire alarms, I understand sprinklers, and then a lot of different certifications. HOST: Kim’s degree isn’t what you typically see in the fire service, and she shared how this actually has worked to her benefit throughout her career. KIM SPUHLER: The fire service is a very, very competitive branch. And so, everybody wants to be a firefighter, so the things that made me stronger were my degree, even though it wasn’t in fire science, everybody thinks you have to do fire science to be in the fire service. No, they really just want your own story and you to figure out what makes you special in the fire service so we’re not all cookie cutter. So, when I came into the fire service and I said I had this BA in Communications, they said, “huh, that’s interesting”. HOST: This turned out to be a strength for Kim’s team and for her role in particular. KIM SPUHLER: So that made me a stronger, you know if I have to put out a brochure, if I have to figure out what our audience is, how do I market our programs, I could connect that background, even though it wasn’t the fire service, into my position. So when people go, what exact path, I want them to find their own path and find out what makes them passionate about what they’re doing because if you love it you can make your own background and make yourself strong as long as you’re selling your own story. We don’t want cookie cutters, we want your own story. HOST: Kim also explained the leverage that comes with a strong education background in the fire service. KIM SPUHLER: It’s nice my department, they really value education. When it comes down to two people, and they say well the certifications are the same, but this person really values education with whatever they were studying, they would push you more than the other person just because they do value that that education in whatever field you had that of interest. HOST: As far as career and salary opportunities, Kim said that there is a far reaching range for both factors. KIM SPUHLER: Well I think, sometimes people are like how much do firefighters make or community risk reduction and so of course it’s going to depend on the department you work for and so a beginning firefighter can start at $50,000 to $60,000 a year, and then our chief makes mid-$100,000 a year, so the range can go there. As a community risk reduction specialist, I make $80,000 a year, and then you get paid a little bit extra for that education background. Great benefits when you work for the fire service, but really I just want people to know that the fire service is really broad and can encapsulate a lot of different backgrounds and educations. HOST: Any child who says, I want to be a firefighter when I grow up, thinks of spraying water on burning houses. While this is an important role, Kim shared that there is so much more to it all. We hope you’re inspired by Kim’s story and can find what makes you feel part of your community, too. Thanks for tuning in, we’ll see you next week.